As Molly mentioned on Monday, we love our independent boutiques and small business shops. They are the best place to find one of a kind pieces. Vardagen, which means "everyday" in Swedish, is an awesome company based just outside of Indianapolis that specializes in cool, casual, everyday streetwear made for those who want to live a little. You may not realize this, but I went through a bit of an "emo/skater/punk" style phase when I was in high school. I still have the belt I made entirely out of safety pins and beads and my first pair of Converse with Dashboard Confessional and Saves the Day lyrics scrawled all over them. I remember the day when I realized I didn't have to dress in only obscure band tees and safety pinned jeans to express myself. I could dress stylishly too! 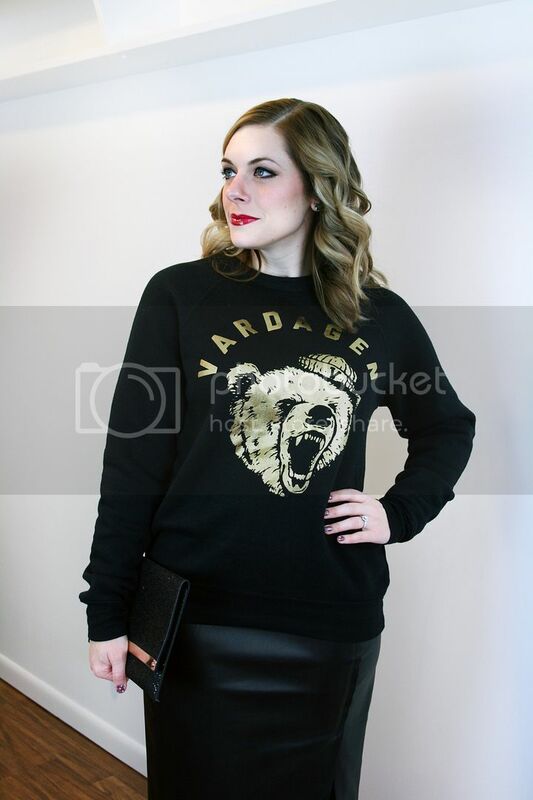 That early high school part of me still exists inside and continues to draw my eye to places like Vardagen, so I was very excited to find this Bling Bear sweatshirt on their website. I love mixing different styles and pieces, so Mr. Bear has been a welcome addition to my closet. 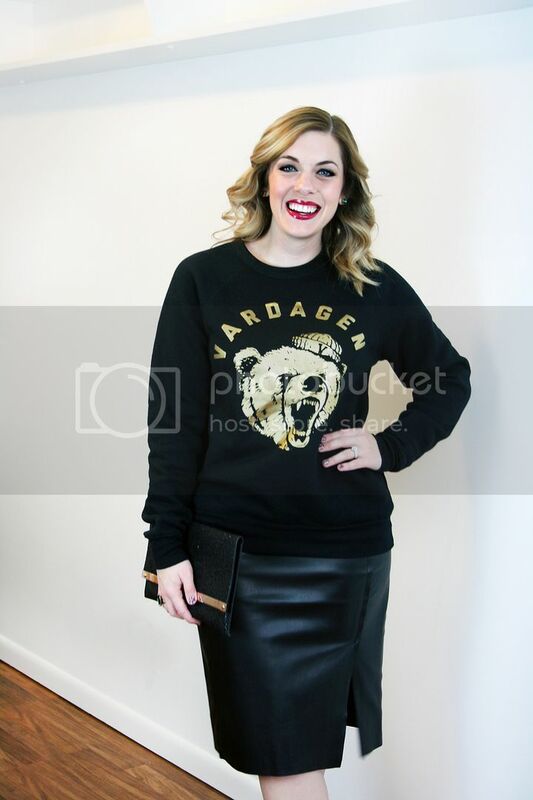 I'm not gonna lie, I've mostly worn this sweatshirt with leggings and comfy pants so far, but I also like the idea of dressing it up with this leather pencil skirt and heels for an unexpected look. It doesn't hurt that the material is the softest I have ever felt. I'd live in this thing if I could (and I intend to). 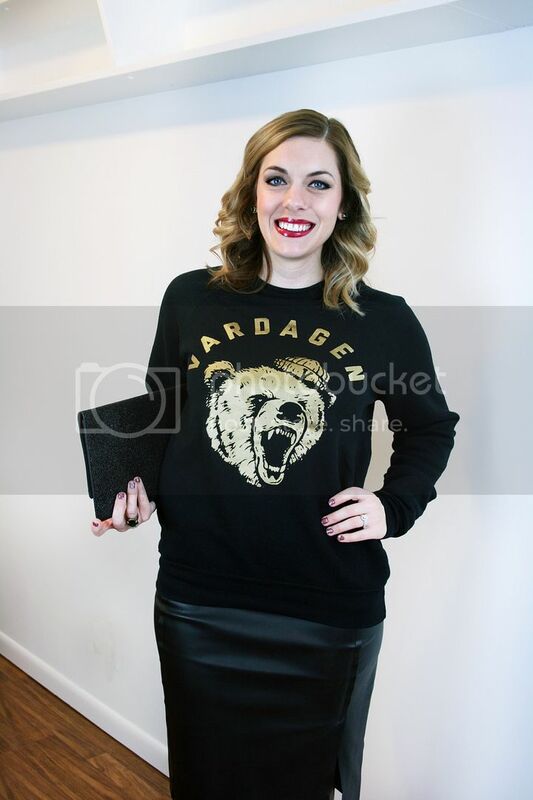 The gold foil of the bear design elevates it as more than just a normal sweatshirt as well. It really doesn't get any cooler than a gold bear wearing a little sailor hat, does it? It's almost like he's saying, "Aharrrrrgh matey!"